Last 40 copies on sale now. There is a good chance that book will not be reprinted! 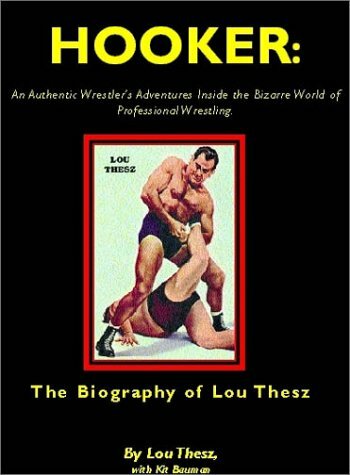 This is the history of professional wrestling as seen through the eyes of the man who was the top star in the sport from the 30s through the 60s and the only man to compete in seven different decades. The stories are all true and, in some cases, brutally honest. He gives his opinions on every major wrestler from the turn of the century to modern era champions such as Hulk Hogan. He tells about his victories and defeat in the ring and the seemingly never-ending battles with promoters behind the scenes. He talks about the double-crosses and the time an opponent tried to steal his title in the ring. He tells about his role in the birth of Japanese professional wrestling. His wild stories from all over the world. Some of the personalities he discusses include Bruno Sammartino, Argentina Rocca, Sam Muchnick, Vince McMahon Sr., Johnny Valentine, Paul Boesch, and many more. If you are a serious student of professional wrestling, this book is a must have. It is a fascinating set of stories that you will read over and over. Everything on Sale Plus Free Shipping! 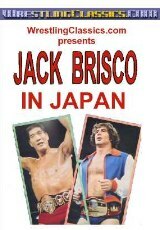 WrestlingClassics.com is excited to debut it's line of DVDs just in time for the holidays. We have 13 of our most popular titles ready to ship immediately. Order today at a special low price plus get free domestic shipping and handling on all selected videos. Click here to see the DVD Collection! It's the three of the most provocative, powerful, and controversial Shoot Interviews ever. 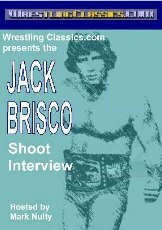 Order these three new Shoot Interviews and the critically acclaimed Jack Brisco Shoot Interview at one low price. All interviews are professional two camera shoots with professional studio post production. At WrestlingClassics.com we're fans of wrestling Websites, too. To cross-link with us, please email us through Submissions. This page will be updated often. A site dedicated solely to the old territorial regions from wrestling's past. The best MACW site on the net! 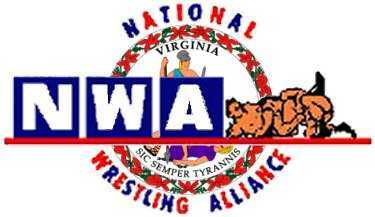 A site dedicated to the Virginia chapter of the National Wrestling Alliance. The official website for the promotion tearing up the Carolinas. Top level Independent organization based out of Orlando. One of the best produced Independent wrestling shows in the country. The official web site for this great museum which has a comprehensive look of International wrestling over the years. One of the most popular wrestling Websites on the Internet. Bob Ryder, Dave Scherer and Georgiann Makropoulos provide the most current news and commentary, updated daily. 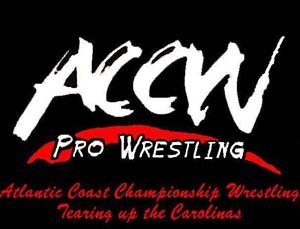 Also is the home of ECW television. Hisaharu Tanabe provides excellent resource for titles, supercards and wrestling greats. American fans will get a lot of this site, but this is the undisputed authority for the history of Japanese wrestling. The official Web site of one of the greatest pure wrestlers of all-time and a pioneer of this great sport. The official Web site of one of the most colorful and charismatic stars ever. 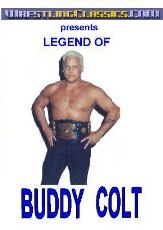 A terrific Web site for one of the most talented popular wrestlers of his era. Percival A. Friend was a top manager in the old Amarillo territory. He has some colorful stories about one of the most colorful wrestling territories ever. Providing a search engine to the wrestling world. Scott Teal has developed one of the most respected Websites in the industry. When you see his research and read some of his interviews with wrestling stars from the past, you'll know why. The only wrestling history newsletter published monthly since 1990. Features columns by Killer Kowalski, his protégé Bryan Walsh and Dale Pierce. Tribute site for the leader of Devastation, Inc. The website with the mission to put Mr. Flair where he should be: a media icon, a champion athlete, a philosophical figure of the 20th century. A news page concentrating on house shows and television tapings. Bill Milano provides a well-written site devoted to comprehensive television recaps with some house show reports and features. Earl Oliver features an extensive title history, several photo galleries and more in a Website dedicated to Gordon Solie. The official website for Florida Championship Wrestling manager the "Master of Darkness" Abudadein. Mitch Hartsey is the webmaster for the official website of the NWA Midwest promotion. Also features championship belts from Reggie Parks.